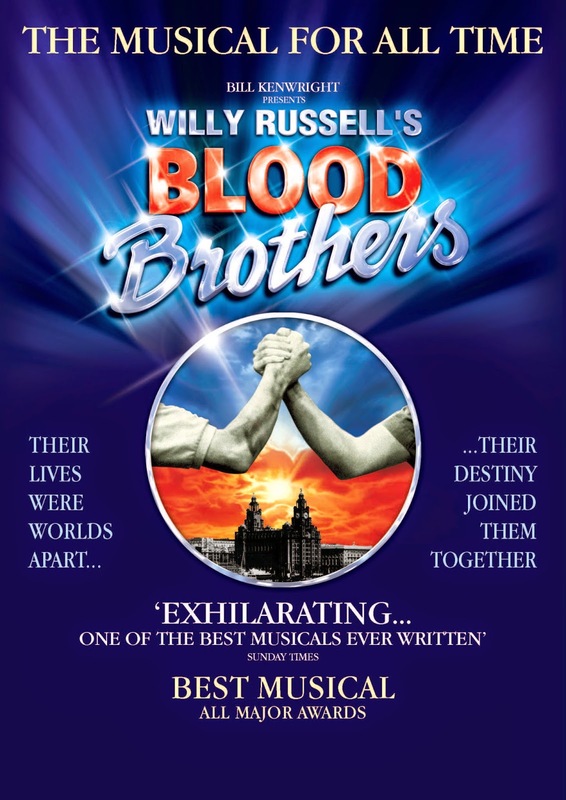 In March this year one of the most revived and talked about shows in Musical Theatre history returned to the West End after over 40 years. Following it’s successful run at the Chichester Festival Theatre and an incredible opening night – GYPSY has gone on to be a great success. This review is far too late – but I want to share my thoughts on the original cast before the curtain comes down for the final time on Saturday night (28th November 2015). This ‘musical fable’ has boasted an array of talented leading ladies playing the troubled ‘Rose’ – from Ethel Merman to Bette Midler, Patti Lupone, Bernadette Peters and Angela Lansbury, yet in the shows latest version the role is played by Imelda Staunton. Probably best known for playing the wicked ‘Delores Umbridge’ in the Harry Potter films (and being an Oscar nominee for ‘Vera Drake’) Staunton is also highly experienced in Musical Theatre, having played roles in ‘Guys and Dolls’,’Into the Woods’,’The Wizard of Oz’ and the stunning 2012 revival of ‘Sweeney Todd’. 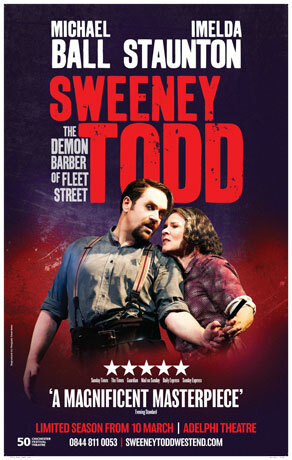 My first time seeing Imelda on stage was in ‘Sweeney Todd’ (for which she won an Olivier for her role as Mrs. Lovett). This was really a special production for me – as a self confessed Harry Potter fan, I can still remember how excited I was to see Imelda Staunton in a musical (?!) and I was truly blow away by her performance and the direction of this show. Both Sweeney Todd and Gypsy are helmed by master director – Jonathan Kent, who not only constructs slick and exciting revivals, he brings out a real essence in the performers. The cast of Gypsy is superb yet undeniably as many critiques have stated since the show’s opening night, Imelda is at the top of her game. 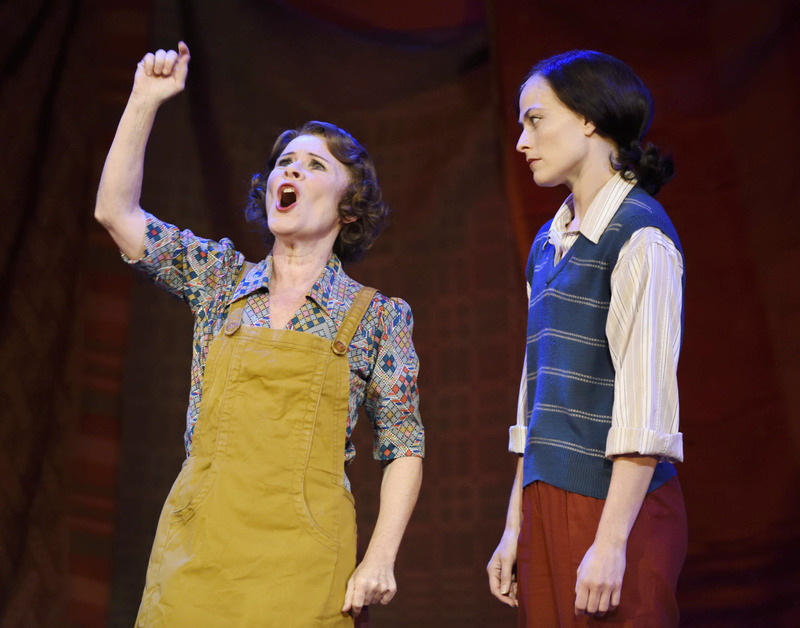 Imelda Staunton & Lara Pulver. I was lucky enough to see the first preview of Gypsy back in March this year, Staunton’s transformation from screechy Mrs. Lovett to the larger than life Rose, with three VERY challenging solos (vocally and mentally) was quite staggering. The thing I love about performers is when they have no barriers, and constantly strive to make that extra push or try something new. You can’t take your eyes off of Staunton, from her first entrance to her final gesture – everything is thought through, precise and daring. With a story revolving around a pushy mother, set against the backdrop of the Vaudeville Circuit with a big, brassy Broadway score – Gyspy is really the epitome in my opinion of THE ‘Broadway’ show. 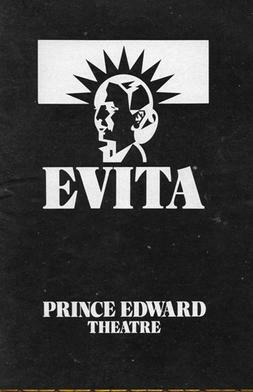 From the long, boisterous Overture to delving into the world of show business and the famous numbers ‘Some People’,’If Momma was Married’ and ‘Together, Wherever We Go’ (covered by such artists as Judy Garland, Liza Minelli and Barbra Streisand) has kept audience returning time and time again to see Gypsy – a great story and huge legacy. Lara Pulver & Gemma Sutton. 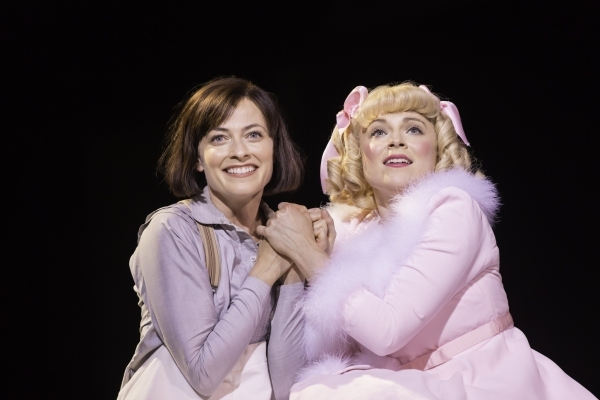 Staunton is joined by Sherlock star Lara Pulver as ‘Louise’ and Gemma Sutton (Hairspray, Legally Blonde) as ‘Baby June’. Both shine in their roles, bringing another exciting element to the strong plot. Louise and June are so different and the struggle they both face because of their mother and how much they change throughout the story is portrayed brilliantly. Peter Davidson, of course known predominantly for playing ‘Doctor Who’ is a great attribute to the show, perhaps a little reserved at times but overall gives a good performance as ‘Herbie’. Dan Burton as ‘Tulsa’ definitely makes the most of his solo near the finale of the first act and Anita Louise Combe, Louise Gold and Julie Legrand as the three strippers have the audience in hysterics. Jule Styne’s electric score, the lyrics of Stephen Sondheim and the book by Arthur Laurents fit seamlessly together. The piece remains fresh and exciting to the modern day audience – it’s hard to believe the show premièred in 1959! 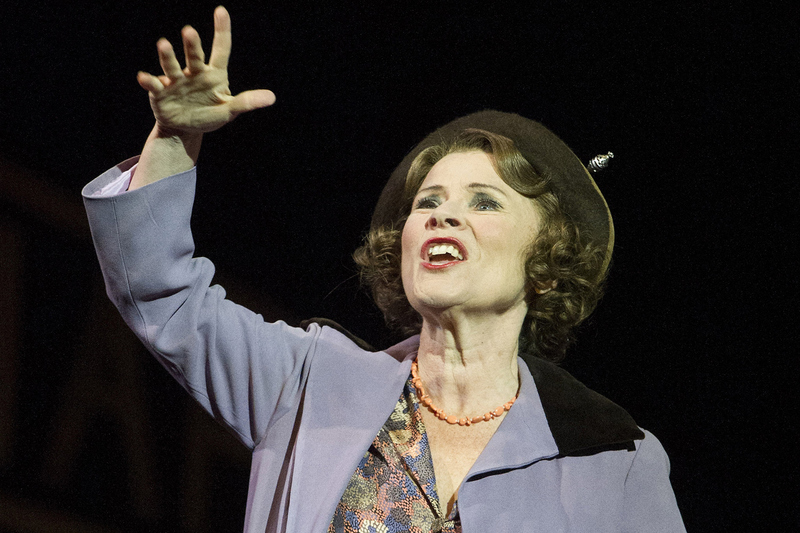 However, I do believe that Imelda Staunton is a huge contributor to the shows recent success (naturally) – yet she is more than just the ‘star’ cast in the leading role. Staunton appears to live and breath her role as Rose. confessing in a recent interview that she may go all day without speaking – just to get through the role every night! If I had to name the best performance in a musical I have ever seen I would have to say Imelda…’Rose’s Turn’ blew my mind. Willemijn Verkaik in the Dutch production of ‘Wicked’. Photo: Roy Beusker. WICKED is one my most visited West End shows – first seeing Kerry Ellis play Elphaba in 2008 followed by Rachel Tucker, Louise Dearman and Nikki Davis-Jones on numerous occasions. Yet there was an Elphaba that I missed – Willemijn Verkaik, who conquered not only Wicked in the West End but on Broadway, Germany and the Netherlands! Other stage credits include ‘Aida‘, ‘Mamma Mia!’, ‘We Will Rock You‘ and being the Dutch and German singing voice of Elsa is Disney’s mega hit ‘Frozen‘. When it was announced that Verkaik would perform a one night only concert in London it was something I knew I couldn’t miss. From the evenings haunting opening – ‘A Piece of Sky‘ (Yentl) I knew this was going to be a very special evening – Willemijn was both charming and captivating from her first breath. We were treated to a catalogue of well known musical theatre hits as well as more obscure and lesser known material (Vlieg Met Me Mee – Dutch mega hit a particular highlight). Special guests Victoria Hamilton-Barritt and James Fox joined Willemijn for ‘Don’t Forget Me‘, ‘Who Wants To Live Forever‘ and the superb ‘A Step Too Far‘ – proving to be excellent support. Willemijn at the Ambassadors Theatre. Photo: WVerkaik Fansite. The live band for the concert were excellent – Tom Deering (Musical Director and Pianist) played with flare and passion throughout the evening. From the stripped back version of ‘The Winner Takes It All‘ to guitar riffs in ‘Another One Bites The Dust‘ and the jazzy Broadway bounce of ‘The Life Of the Party‘, the band displayed their impressive diversity. Having only heard Willemijn on YouTube and the German cast recording of ‘Wicked’ I was excited to hear her live – and I was astonished at her faultless vocals. With her world class belt and a range that rivals Celine Dion, Willemijn powered through over fifteen musical numbers. What impressed me most was not only her ability to sing in multiple languages (‘Let It Go‘ was showcased in English, Dutch AND German) but at how fearless Willemijn appeared whislt performing. The riffs got meatier and the power only grew as the night progressed – concluding with a whirlwind medley of songs from Wicked. Willemijn is currently performing in the Stuttgart production of TARZAN. 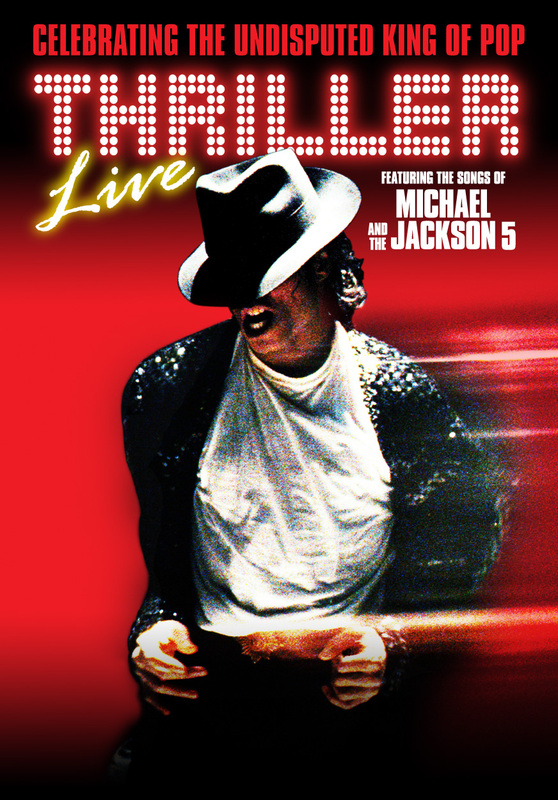 When the next chance arises, I will be sure not to miss this incredible performer! One of UK’s best leading men is Mr. Ashley Day. Ashley has starred in High School Musical, The Wizard of Oz, Evita, Mary Poppins, Oliver! 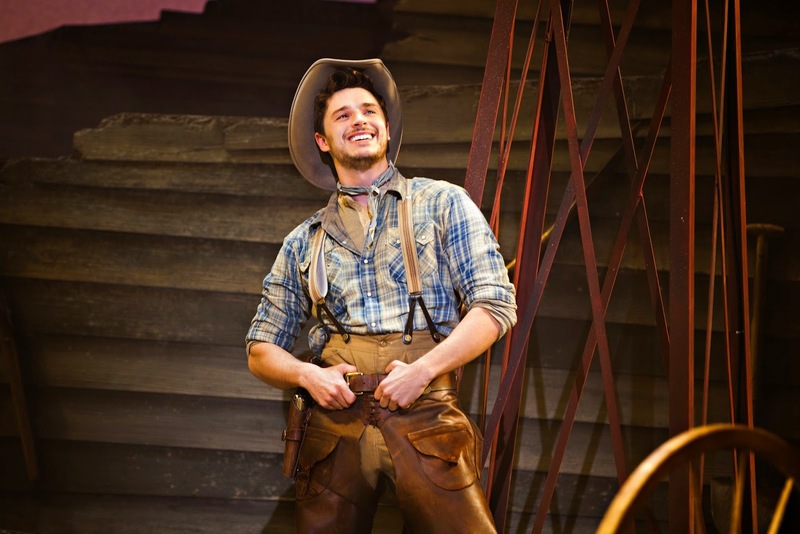 and currently plays the lead in the UK tour of Oklahoma! I caught up with Ashley about some of his theatrical favourites, asked for his advice to upcoming performers and what he is doing next! Where did it all begin for you? 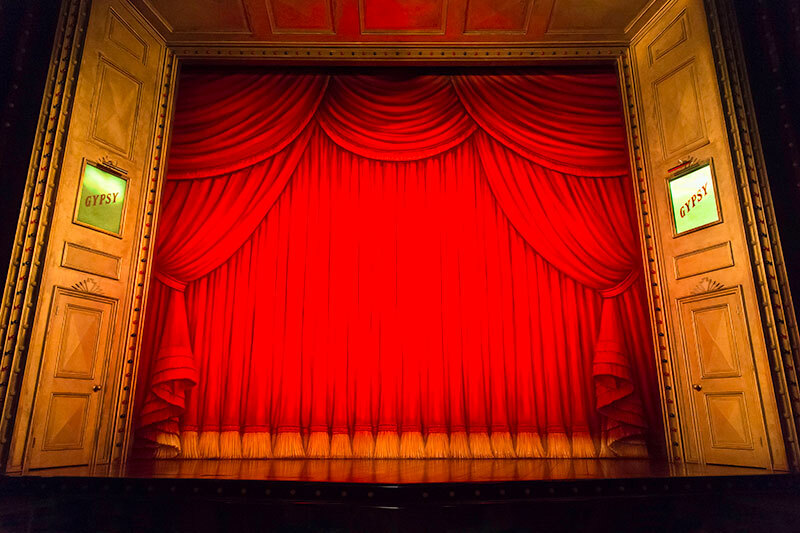 What was your first big step into being involved in theatre? A.D: I started dancing really, really young – I think I was like three? Stereotypical ‘A Chorus Line’ story, I watched my sister and I’d want to do it too – that’s how that started really. Then I was obsessed with it and I started singing and having acting lessons. Probably the first thing that really made me get the bug was when I did Oliver! at the Palladium as a kid, that was the most crazy and amazing experience for a 9 year old boy who goes to dancing and singing lessons! Being on this huge stage not really knowing how huge and amazing it was, that kind of got me the bug…from there I was with MYMT throughout secondary school I was off doing a production with them which was the most amazing fun summers I had as a kid. You’ve played Troy in ‘High School Musical’, the Scarecrow in ‘The Wizard of Oz’, Elder Price in ‘The Book of Mormon’ to name just a few and are now touring with ‘Oklahoma!’ as Curly- which has been your favourite role to play and why? 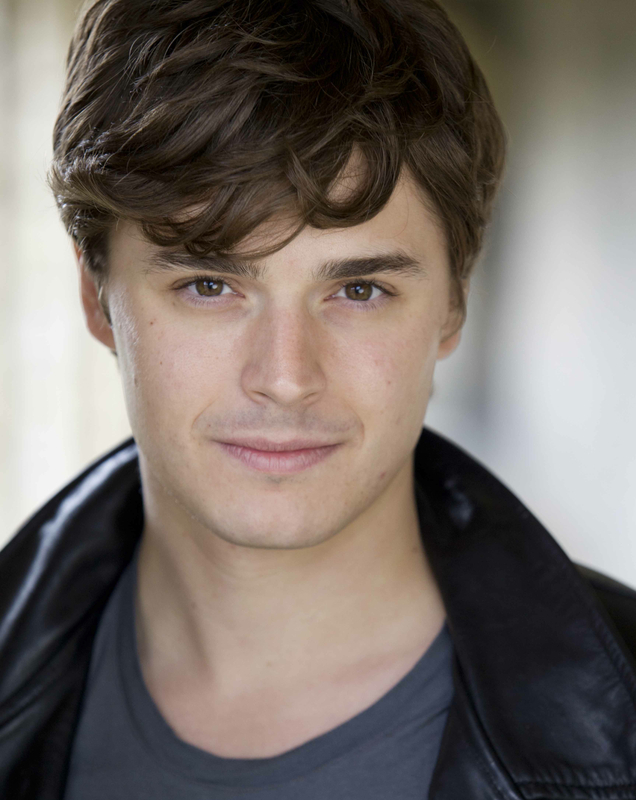 A.D: Playing Elder Price was a high, the show had just opened with the press and I was on within a week! I was there from day dot and being in that role was a bit of a dream, it’s such an amazing role – a killer of a role, but amazing! I would have to say him. He’s the most fun I’ve had, although Curly I have equal as much fun with. It is so different, the stamina of the show I have for Oklahoma is very similar to Mormon, Mormon you didn’t stop but this show I have two breaks in act one but as soon as I stay on stage that’s it, I’m there for a while. The dancing and the ballet at the end of act one makes it as challenging as Mormon. What advice would you give to up and coming performers? A.D: My advice would be to take any path that’s going, take any knowledge that’s being given then you’re there and can take on the world. There is always things to learn, ignorance can be quite scary but you have to keep your eyes open to everything and every skill to get as strong as possible. I have to ask, how did it feel to sing ‘I Believe’ on those occasions when you played Elder Price? A.D: Amazing. That song [sighs] it didn’t used to scare me but when I hadn’t played the role for a while I’d always love getting through the first verse because it goes on and on and on – it’s a killer! Once you’ve got it under your belt it’s the most amazing song. I love doing that number, but if you get your words muddled you’re screwed – you have to know it inside out! Have you had any on stage mess ups or mistakes you can tell me about? A.D: During Oklahoma in Southampton my trousers ripped and it was during the ballet – so I was stuck with a massive hole under my crutch, which was just soul destroying! The following day I got loads of tweets from people mentioning it, so I may as well put my hands up to it: yes they split! Who is your favourite musical theatre composer? A.D: Gershwin. I love all those standard songs, they appear in so many shows. How do you keep the role of Curly fresh every night? A.D: I have a real lack of experience of being able to do exactly the same line over and over again so I am always on my toes. Charlotte [Wakefield] who I play opposite can tell straight away how playful I am because I will literally do crazy and different things to keep it really fresh. I think it’s the only way I can give an honest performance is to bring something fresh every night! 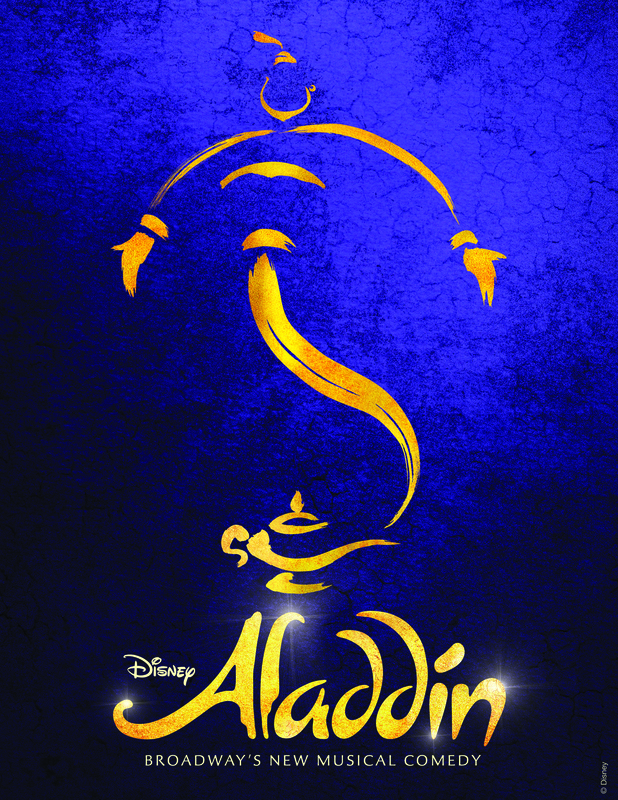 If you could play any role of any gender or ethnicity, who would you pick? A.D: Ooh, I think the Engineer in Miss Saigon would be amazing, MC in Cabaret I’d love to play but I’m not right for it at all and the female one… Edith Beale in Grey Gardens! A.D: Oh gosh… West Side Story, Chicago… The Color Purple maybe? No – An American in Paris. It’s my favourite film and I want it to come over here! A.D: After I finish Oklahoma! I go straight up to Leeds working with opera north to do ‘Kiss Me Kate’. I’m playing Bill Calhoun/Lucentio which is very exciting – it is a musical I’ve always wanted to do. I saw it when I was at college at the Victoria Palace and I literally just opened the script and the first line is ‘this is it, this is the show about show business’ and I thought, yeah – I like this! So I’m doing that up until Christmas and then I’m doing panto. Who knows what the new year will be, I’m booked for a while which is really nice! Good to finish off the year with another big show, being at opera north it’s going to be huge. Myself, Tiffany Graves and some other big people are doing it – it’s going to be a good one! Special thanks to Ashley and Alison Duguid! 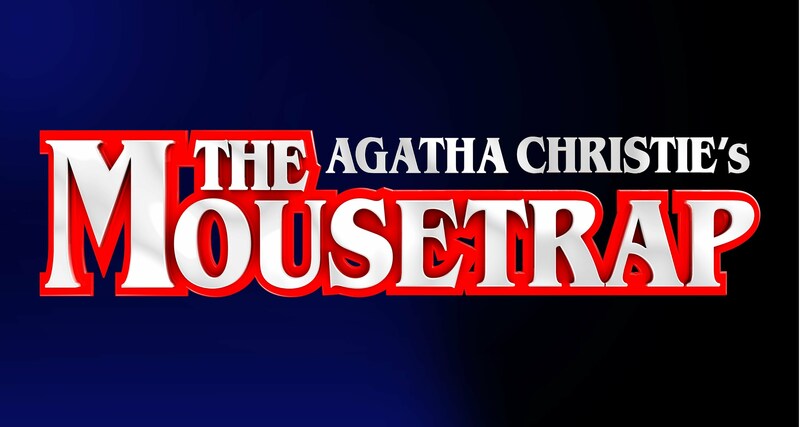 The longest running show in the world, premièring in early October 1952 is Agatha Christie’s ‘The Mousetrap’. It is the defining murder mystery classic of British theatre and the West End production is currently playing into it’s 64th year! Mollie and Giles Ralston have just opened Monkswell manor guest house, where a group of very different characters meet for the first time. It isn’t long however until they discover that they are involved in a murder case, and the killer is amongst them. Agatha Christie’s writing has stood the test of time and continues to lure one in with great suspense, as well as hints of comedy – which came as great surprise to me. Often when watching ‘Poirot’ or ‘Miss Marple’ the stories are so serious and dark – this was what I expected ‘The Mousetrap’ to be like. The plot goes through several twists and turns, with subtle hints to the audience and several false trails to confuse and entice. The actors each embodied their characters brilliantly, with stand out performances from Edward Elgood as the misunderstood ‘Christopher Wren’, Esther McAuley as ‘Mollie Ralston’ and Jocasta King who gave a captivating performance as ‘Miss Casewell’ (King is the understudy for the role). It must be challenging to repeat the level of tension required night after night, yet the actors appear to valiantly and are keeping the play fresh and as exciting as it was over 60 years ago. Edward Elgood as Christopher Wren, William Ilkley as Major Metcalf, Luke Jenkins as Sgt Trotter, Esther McAuley as Mollie Ralston and Mark Homer as Giles Ralston. The actors play against a highly detailed and extravagant set of the manor house, giving the impression of a real life guest house and location. The show is sure to appeal to the older generation, but it’s legacy and intelligence appears to bring audiences back again and again. 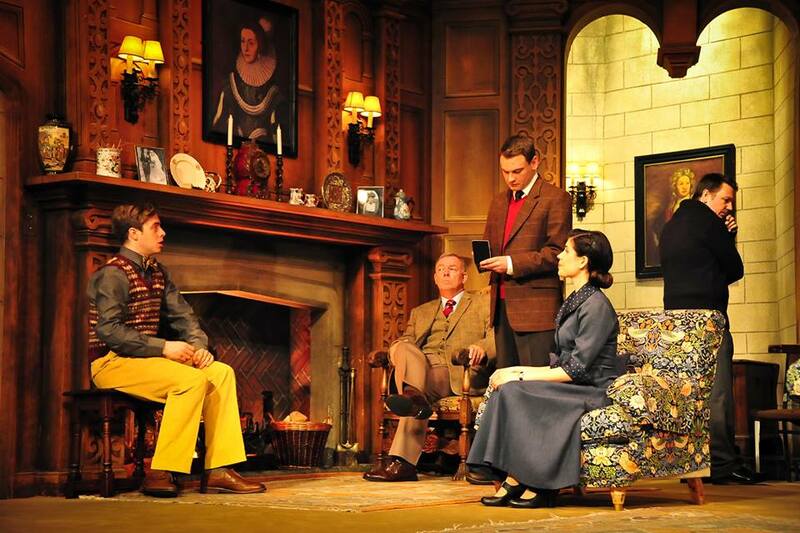 See if you can solve the case yourself, ‘The Mousetrap’ continues until Saturday 4th July at The Wolverhampton Grand Theatre. Hockadoo! 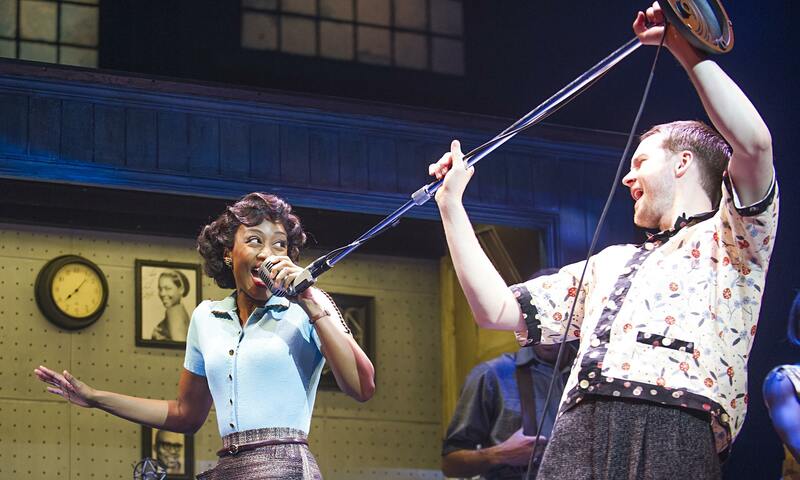 Memphis is currently electrifying the Shaftesbury Theatre stage, with a story revolving around the relationship between singer Felicia and estranged radio DJ Huey, played by Beverley Knight and Killian Donnelly. The show is an immediate powerhouse with Felicia’s brother Delray establishing the Beale Street ‘underground’ setting – the opening number entices, yet it is Beverley Knight who captures the audience as soon as she opens her mouth. 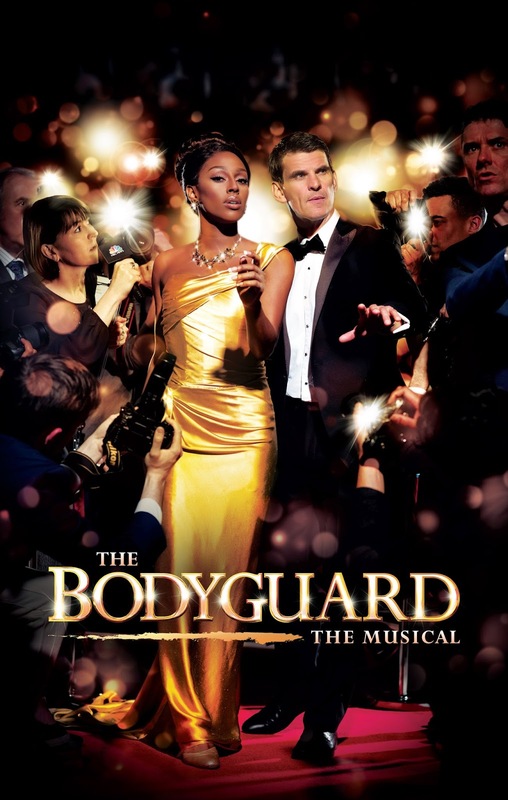 Knight, being a fresh face to musical theatre (her stint in ‘The Bodyguard’ marked her debut) explodes onto the stage – giving the role of Felicia a backbone of steel and single handedly blowing the roof of the theatre with her larger than life vocal talent. Beverley exceeded every expectation and appears to give her all to the show, there is no holding back – her voice is breathtaking. Bon Jovi’s David Bryan has written a well constructed, exciting and wonderfully soulful score – with particularly memorable numbers including ‘Coloured Woman‘, ‘The Music Of My Soul‘, ‘Say A Prayer‘ and ‘Memphis Lives In Me‘. West End veteran Killian Donnelly gives arguably the performance of his career as the loveable ‘Huey’, making Knight and Donnelly single handedly two of the West End’s strongest leads. The plot is sadly a little thin, yet it does have some very strong moments which highlight racism and segregation – ‘Gator’ is a character to keep your eye on. 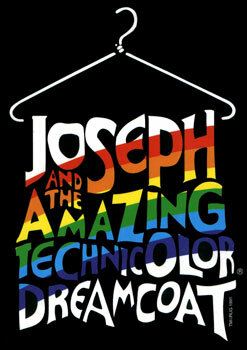 It is a very unique, fun and touching piece of musical theatre. Sergio Trujillo’s choreography is fittingly energetic and slick, making stars out of the ensemble who shine throughout. Memphis is a musical where dancing almost feels like a necessity, the music makes you want to get up and join in with the party! 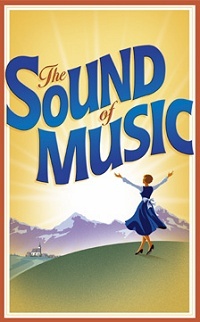 The original Broadway production won four Tony awards (including Best Musical) and I only wish this had been the case at the recent 2015 Olivier Awards, where sadly the show scooped just two wins for choreography and sound design. Memphis continues to play at the Shaftesbury, with X Factor star Matt Cardle soon set to take over as ‘Huey’ and MOTOWN the Musical booked into the theatre from February 2016, I hope that this brilliant show will find a new West End home and continue to play to packed houses. They don’t make them quite like this any more! 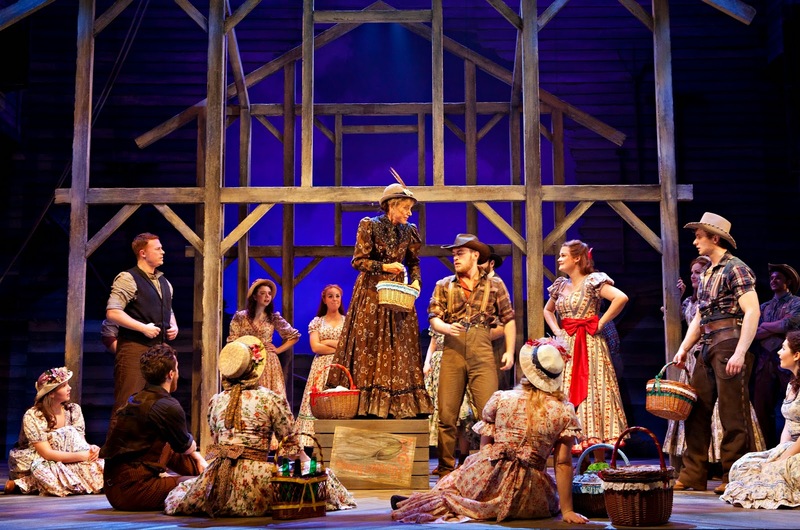 ‘Oklahoma!’ is Rodgers and Hammerstein’s first ever Musical, standing the test of time on stage since its premiere in 1943. Opening with the rousing “Oh, What a Beautiful Mornin'”, we find ourselves in a much simpler time, set against the farmland backdrop of Oklahoma where this love story unfolds. Ashley Day (pictured above) who is fresh out of the West End production of ‘The Book of Mormon‘ is the definition of a ‘triple-threat’ performer – with equally strong vocals, acting and dance ability. Having never seen or heard much of ‘Oklahoma!’ previously (with the exception of three musical numbers) I enjoyed these soaring songs by Rodgers and Hammerstein, who have undoubtedly written some of the world’s most loved musicals. Both orchestra and the cast delivered the songs with gutso and highlights included “The Farmer and the Cowman“, “People Will Say We’re in Love” and the brilliant title song “Oklahoma!”. Two of the best performances of the night however belong to Lucy May Barker (Ado Annie) who gave an exceptional performance of “I Cain’t Say No” and Nic Greenshield (Jud) blasting out the haunting and powerful “Lonely Room”. 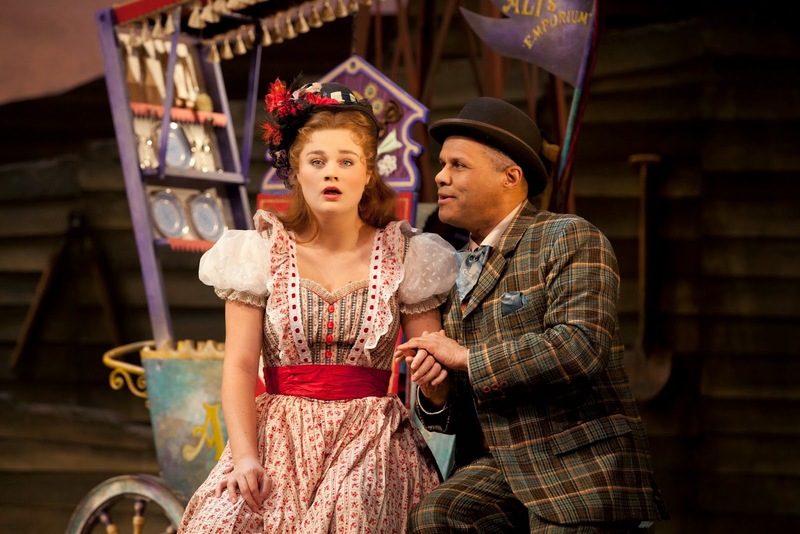 Having previously seen Barker in the superb revival of ‘Sweeney Todd‘ her performance as Ado Annie highlighted her incredible diversity as a performer. Gary Wilmot appears as the peddler Ali Hakim, providing some comic moments in his cameo-esque role and Belinda Lang is charming as wise old Aunt Eller. Rachel Kavanaugh’s direction is good and compliments Drew McOnie’s affective high energy choreography, one of the production’s most exciting moments being the “Dream Ballet” sequence. The only downfall of the show is the plot, which is either too simple or well constructed for the most part but with a rushed final 20 minutes – I can’t decide! One must remember however that this isn’t ‘Les Misérables’ and is a basic old-fashioned love story accompanied by lush, catchy songs. 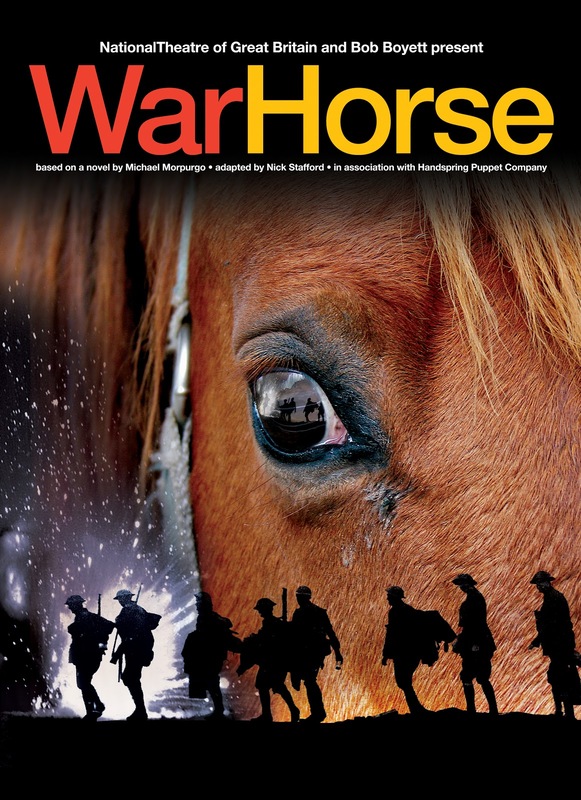 Theatre goers young and old will enjoy this fun and energetic Country and Western Musical which continues at the Wolverhampton Grand until Saturday 7th March! Opening with the grizzly image of a dog impaled with a garden fork, the secret of ‘who killed Wellington’ begins. 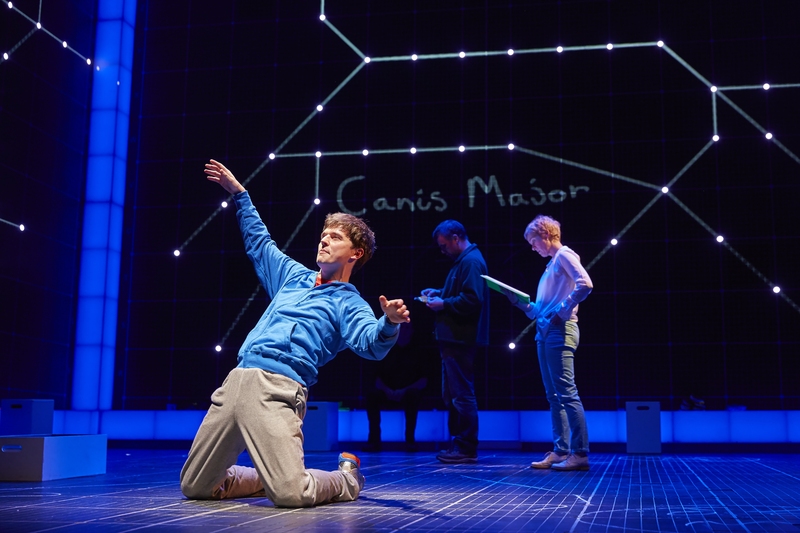 However, ‘The Curious Incident of the Dog in the Night-Time‘ is not your typical murder-mystery as we are introduced to the bizarre world of 15 year-old Christopher, who doesn’t talk to strangers and hates being touched. The enigmatic Christopher (played brilliantly by Joshua Jenkins) has extreme intelligence, yet suffers socially and with every day life – displayed through his awkwardness around life-long neighbours and members of the general public. Marianne Elliott’s direction is absorbing and well paced, there is never a moment that drags and every pause, beat and movement appears genuine and well constructed. Physical theatre and movement is something used frequently throughout the show, creating an exciting and entrancing effect. The company use their bodies in a variety of ways to portray the simplest things like taking off a coat or complex choreographed erratic movement which gives the impression of life being sped up – this being just one of several brilliant and original segments of this production. Another significant edition to this interesting production is the stunning set, designed by Bunny Christie. The actors tell the story inside a huge cube – showcasing sketches, images and magical lighting which travels all around, creating an eye-popping spectacle for the audience. The technological cube along with some small boxes act as the only set used in the show, houses are mere projections and the cubes become seats, toilets and suitcases! This energetic company of actors often change within seconds to different characters, with total believability and vibrancy. The leading roles of Siobhan and Christopher’s Mum and Dad are played with touching emotion and profound reality, creating a whirlwind of heightened emotions for the audience and Christopher. The play has an underlying feel-good factor, making the point that anyone can do anything. It is modern, intriguing and definitely a unique theatrical gem. 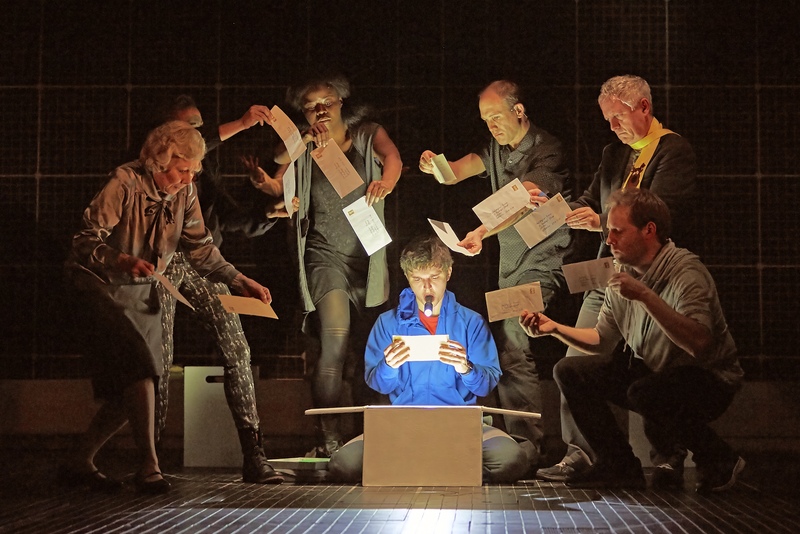 The only way to join Christopher (and his pet rat Toby) in solving the mystery of ‘who killed Wellington’ is to see ‘Curious Incident‘ at the Wolverhampton Grand, on until Saturday! 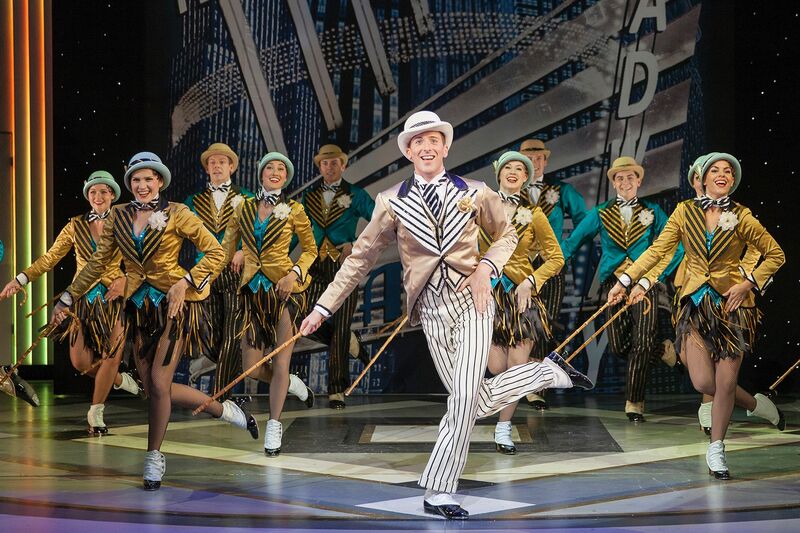 The glitzy, toe-tapping Irving Berlin smash TOP HAT is currently gracing the stage at Wolverhampton’s Grand Theatre. Top Hat is a funny little love story and is based upon the 1935 film of the same name, which starred Fred Astaire and Ginger Rogers. The show is packed full of razzmatazz and features the famous songs ‘Puttin’ On The Ritz‘, ‘Let’s Face The Music And Dance‘ and ‘Cheek To Cheek‘. Alan Burkitt and Monique Young led the cast as Jerry Travers and Dale Termont. Burkitt filling the shoes of Fred Astaire with ease and elegance, whilst Monique Young expressed charm and radiance throughout her performance. The dynamic duo play alongside the incredible ensemble of over twenty. The show won the award for ‘best choreography’ at the Olivier’s last year and it is clear to see why! The cast are clearly extremely well rehearsed and precise in all they do. Matthew White’s direction is concise and well constructed, Bill Deamer’s choreography incredible and Hildegard Bechtler’s art deco set design is ever changing, detailed and beautiful. The jokes are silly and for the most part it is farcical, yet all is forgiven when we witness the undeniably astonishing dance routines. For older members of the audience Top Hat must illuminate some nostalgia, and for younger audience members, one can appreciate the sheer charm and class that the show oozes. The orchestra are superb, and the company give an all round brilliant performance. The show continues at the Wolverhampton Grand until Saturday! Elphaba, Meat, Fantine, Ellen, Nancy, Mimi: is there any role she hasn’t played? Kerry Ellis is one of the definitive voices of modern day Musical Theatre and has just released her second studio album. 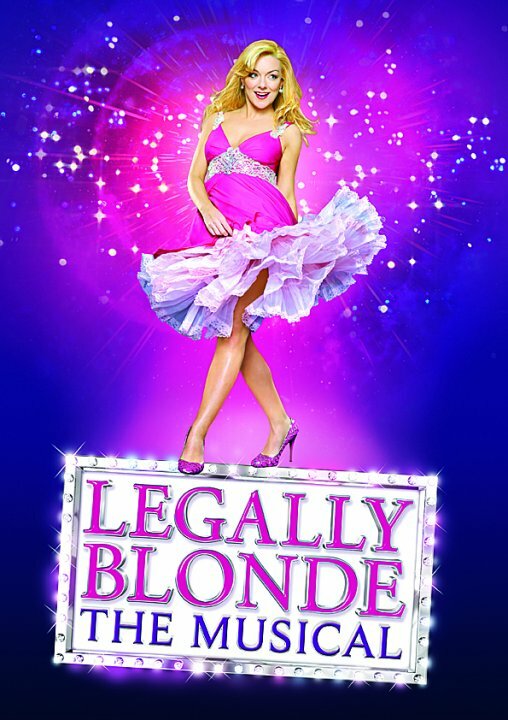 Following a hugely successful one woman show at the London Palladium, Kerry is touring the show across the UK. 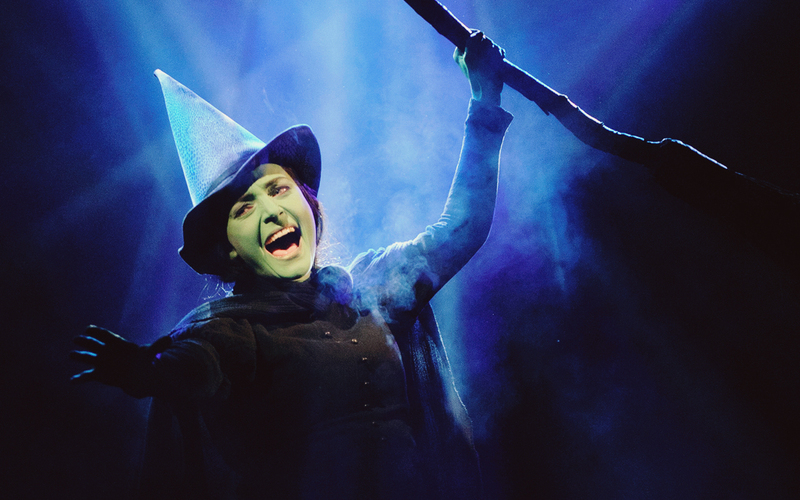 Simultaneously, Kerry is starring as Elphaba in the West End smash Wicked until the end of October! 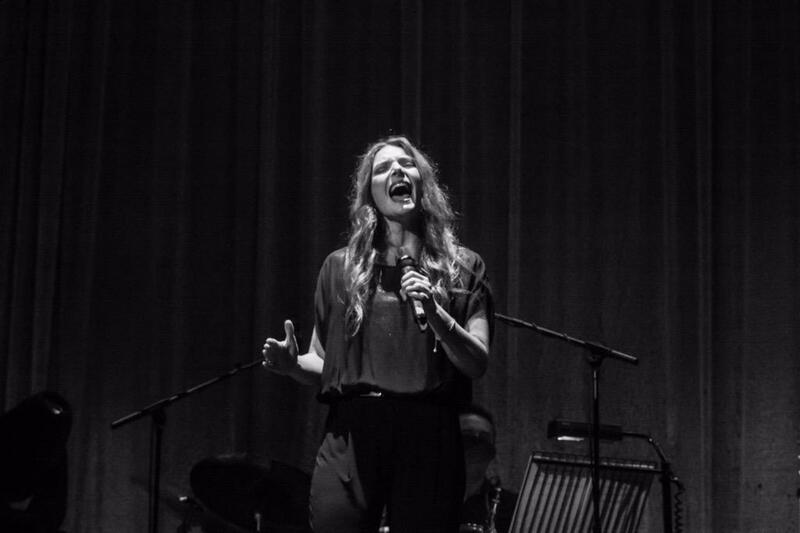 Kerry’s performance at the Town Hall, Birmingham was stunning and intimate. The evening featured songs such as ‘I Could Have Danced All Night’ (My Fair Lady), ‘Greatest Day’ (Take That), the show stopping ‘Take That Look Off Your Face’ (Tell Me On A Sunday), a Bond Medley and ‘As Long As You’re Mine’ (Wicked) alongside special guest Rhydian Roberts. Here is my exclusive interview with Kerry before the show. What tips would you give to aspiring performers in regards to agencies and auditions? K.E: With agencies and auditions, it’s a bit ‘chicken and egg’. I think when you are initially starting out its good to try and do as much as you can, whatever that is. Whether it’s performing in local shows, am dram, local concerts, pubs, bars- anything you can get experience from I think is vital. People stress a lot about getting agents, but I think a lot of it initially is about getting experience. Then you can always go to an open audition, contact agents, call them, write to them – there’s plenty of different ways it’s just what suits you, but for me, it’s all about experience. Who has been your favourite cast member to work with, in any production and why? K.E: That’s so hard! I’ve worked with some amazing people, throughout my whole career, I’ve worked with some crazy, iconic people like Barry Manilow and Brian May, but then people I’ve worked opposite for a long time like Dianne Pilkington in Wicked was just a dream. Even now when I’m on my own solo tour, my band and backing vocalists- we’re such a little team, it doesn’t feel like I’m on my own it feels like we’re part of a company. I’ve been really fortunate to work with some great people, Oli Tompsett is another one, Aaron Tveit on Broadway, he was lovely so yeah I’ve worked with a lots of nice people. What are your top tips for singing? K.E: Know your own voice, know what you can do and look after your voice. It’s your tool, your instrument and you only get one voice! We’re not like musicians we can’t just put our instrument down and then pick it up the next and even if you’re a bit tired you can still play your instrument, but if you’re a bit tired you can’t perhaps sing, so you have to really look after it. Rest! I think rest is massively important, a lot of days if I’m doing my own gigs I won’t talk through the whole day until I get to the gig because it’s just about maintaining and making sure you have enough vocal capacity to do the show. Have you ever sabotaged anybody else’s audition so you could get the role? K.E: [Laughs] Well, no because usually when you have an audition you are in the room on your own so there is no way you can! Auditions are the worst thing anyway, they’re hard and hideous and I’m dreadful at them, so I wouldn’t put anyone through any nastiness. I am so awful I’m not good at auditioning at all! I think I get jobs from people seeing me do other things! Would you ever like to return to a show like ‘My Fair Lady’? K.E: I’d love to! Recently I did a gig with Russell Watson and we did this whole Phantom duet, and it’s been a long time since I’ve sung soprano but it was actually really nice. 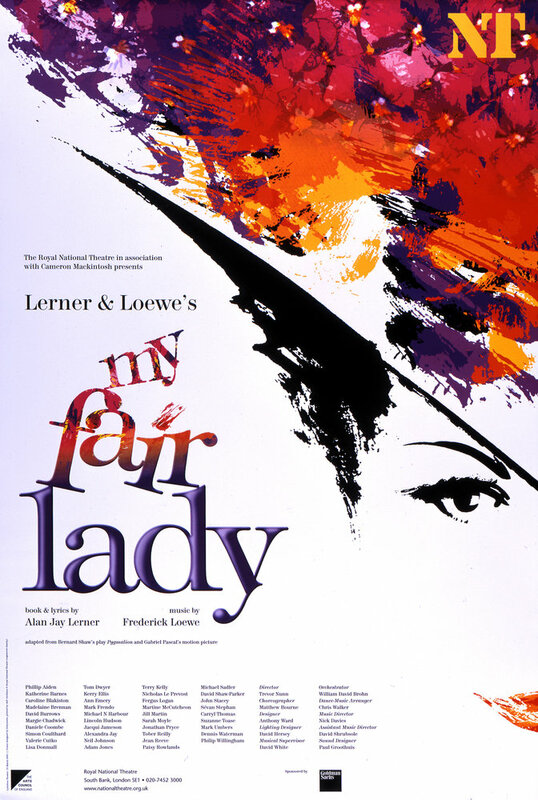 My Fair Lady, is- well I talk a lot about it in the show actually, it’s really close to my heart, I love it. So yeah I’d love to be able to do something classical like that again! What’s your biggest fear, and what would you love to do but are too scared to? K.E: I get really panicky when my voice gets tired, because God forbid if my voice goes, I can’t do my job. That’s always scary, and it happens all the time because I work loads so my voice obviously gets tired and I never have any time off. I’m constantly playing that juggling game of you want to do everything but you need to rest, so that’s always a bit scary. The other part of the question, there’s nothing I’m really too scared of doing, I’m a big believer in putting myself out there. I mean look at things like ‘The Voice’, people are like ‘why did you do it?’- things like that are scary, but I think you have to put yourself out there, it doesn’t matter who you are, what you are, you have to kind of adapt to what’s going on. We’re a massive reality environment industry, sometimes you have to jump on the bus really and get on board. It’s good to try things, I think also why I’ve been fortunate and successful is because I do try, I don’t just stay in musicals or concerts, I try and do different things and I think that’s what keeps it interesting. You trained at Laine [Theatre Arts], how did you find the experience? K.E: Laine was a good college at the time, there weren’t that many big colleges then, there are so many different colleges now- but it was great. It was a great discipline college, it gave a good taster of the industry and good training, I enjoyed it. ‘Let It Go’ is on your new album, are you a fan of ‘Frozen’? K.E: You know what, I can’t actually bare that I haven’t seen the film yet! I’ve seen the music videos and snippets, but I haven’t actually seen the film yet, but I will! Which Fiyero has been the best kisser? K.E: Well… they’ve all been pretty good! Oli [Tompsett] and I are like brother and sister so when we had to kiss it was really funny! Aaron [Tveit] was great, and he had the most beautiful girlfriend as well, so that was quite funny!…Adam Garcia, who doesn’t want to kiss him?! Fabulous! 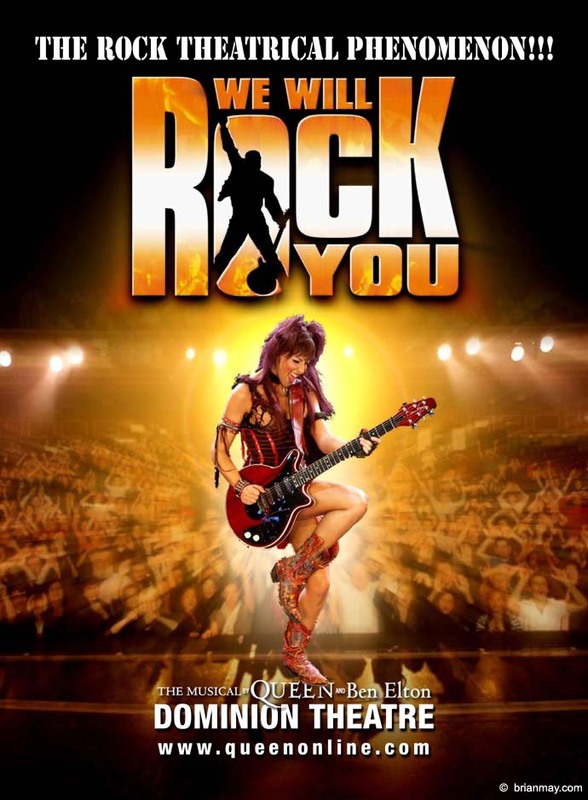 How do you look back in your time in We Will Rock You, which introduced you to Brian [May]? Do you think it has shaped your career leading to Anthems and so on? K.E: Yeah, ‘Rock You’ was a massive mile stone for me. I met Brian and had these two simultaneous careers, and it was my first original role as well- I go to create a role. It was also a musical that was breaking a mould, it was something a bit new, Mamma Mia was the first jukebox musical but ‘Rock You’ was something just a bit strange, no one really knew what it was. It was a phenomenon and successful and has a very fond place in my heart. You and your husband have very different fields of work, which would you like Alfie to get into? Is he the next Gavroche or Beckham? K.E: I have no idea! At the moment he likes to sit and watch music videos, and he likes to kick a football around the playroom so he’s a bit torn at the moment! I don’t care what he wants to do, he’ll probably be something really different to both of us, an architect or something! Whatever he wants to do, he’s been around my world a lot, he’s been on tour with me so he’s not bothered by going on a big stage! K.E: I always wanted to play Kim, in ‘Miss Saigon’ because of the songs and the emotion, I love the show. Obviously I would never play that role, a lot of the boy songs in ‘Les Mis’, Enjorlas sings some great songs, there are some great power ballads that boys get to do. I’ve played some pretty good roles so I can’t really complain! Can you remember how it felt the first time you ever Defied Gravity? K.E: I don’t remember how I felt because I was thrown on literally just before I did it. Idina was there for three months and I was the standby, then I took over. The first time I ever went on, literally was just before Defying Gravity she was poorly and came off and we switched. So the rest of the show is a blur to me, and I can’t really remember it! It’s an amazing feeling and it’s the first time you can actually see all the audience, you come out slightly and the lighting is obviously on you but you can suddenly see the whole audience, it’s lovely! The rudest audience member to date? K.E: We had a few on the tour that I did with Brian, but Brian is really good at dealing with people like that. He’s good at telling people to behave, but I kinda like it when people get involved, especially when I’m doing my own show, it’s different when you’re doing a musical because there is that fourth wall, but when it’s your own show it’s kinda nice when they interact and speak to you! Where is the best place to eat in London? K.E: I’m a BIG Wagamamas fan, because you can find them everywhere! It’s funny when you start touring you start finding where you like to eat! I love Balans in Soho, and I quite like little off the beaten track, canteeny places. Where is your dream place to perform? K.E: Carnegie Hall I haven’t done yet, that would be nice! That’s on the list. 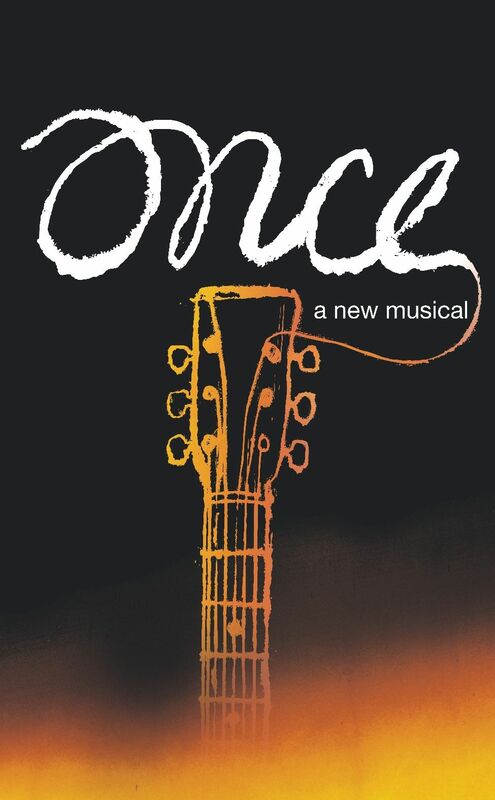 In your opinion, what is the best Musical in the world? K.E: That is hard… I perhaps would have to say something like ‘My Fair Lady’ because it’s a classic. It works and it keeps coming back, it’s got amazing characters, amazing story and great songs! It’s a bit timeless! With special thanks to the Soundcheck group, Kerry Ellis, Town Hall Birmingham and to those who submitted questions! You take your seat in the Prince Edward Theatre, surrounded by the hustle of almost 2,000 people and can practically ‘smell in the air‘ the excitement. 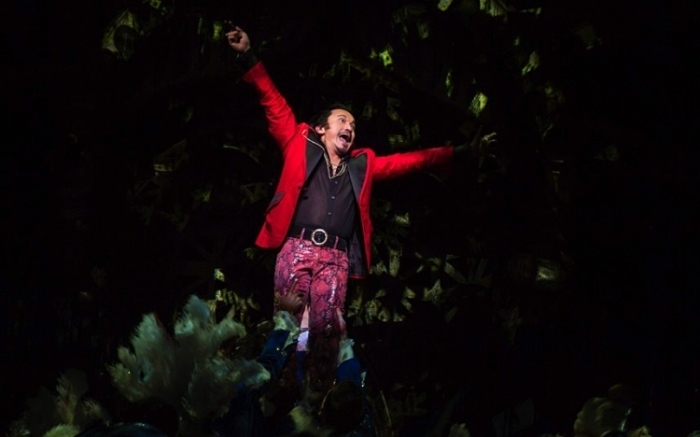 During my two visits to the show (within a few weeks of each other) I couldn’t see a single empty seat- the immensely popular ‘Miss Saigon’ is back.A show that has not been seen in London since 1999, after it’s original ten year stint. The lights dim and the sound of a helicopter in flight bellows across the audience, the haunting overture begins. Boubil and Shonberg’s score is not as instantly memorable as ‘Les Misérables‘, it is a completely different animal. It is most certainly a score to rival to famous ‘Les Mis’ however as it is rich, dark and stirring. Eva Noblezada and Kwang-Ho Hong. 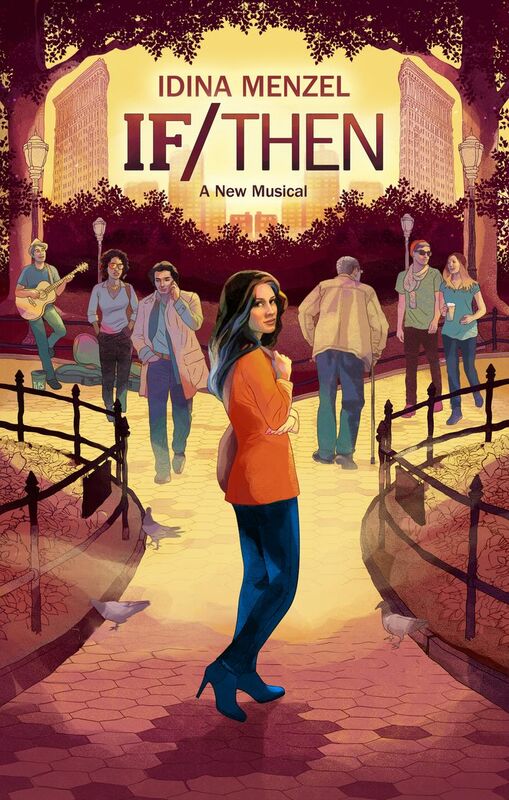 Newcomer Eva Noblezada, spotted at a high school showcase in New York, stars as ‘Kim’. Noblezada is a stunning find, and is ensured a successful career in the theatre after her jaw-dropping performance. Following in the footsteps of Lea Selonga, Noblezada faces a long and extremely moving journey in the course of the show, eight times a week. Alistair Brammer (Les Misérables, Warhorse) stars as ‘Chris’, Brammer delivers the goods with a crystal clear vocal and performs impressively as the troubled G.I. Rachelle Ann Go (Philippines popstar) and Hugh Maynard (Jesus Christ Superstar, The Lion King) play ‘Gigi’ and ‘John’, blowing us away with their delivery of the songs ‘The Movie in My Mind‘ and ‘Bui Doi‘. Kwang-Ho Hong (The Phantom of the Opera, Sweeney Todd- Korea) wows with his operatic vocal as ‘Thuy’ while Jon Jon Briones steals the show as the slimy ‘Engineer’. Briones is no stranger to Miss Saigon, having been a member of the original company and going on to play the roles in several productions worldwide. The other members of the cast and ensemble are very strong. From start to finish, this production is phenomenal. The orchestrations are hair raising, the performances stellar and Lawrence Connors direction is so well polished the show shines aglow. Totie Driver, Matt Kinley and Adrian Vaux’s set design is well constructed and wonderfully slick and effective. One of the most hotly anticipated moments in the show is the famous helicopter scene, yet I have to say this is completely overshadowed by the superb cast and story. Bob Avian’s staging and choreography is equally strong, ‘The American Dream‘ is a lavish show stopper. Cameron Mackintosh has formed one of the strongest casts in West End history, each member of the company is extremely talented. 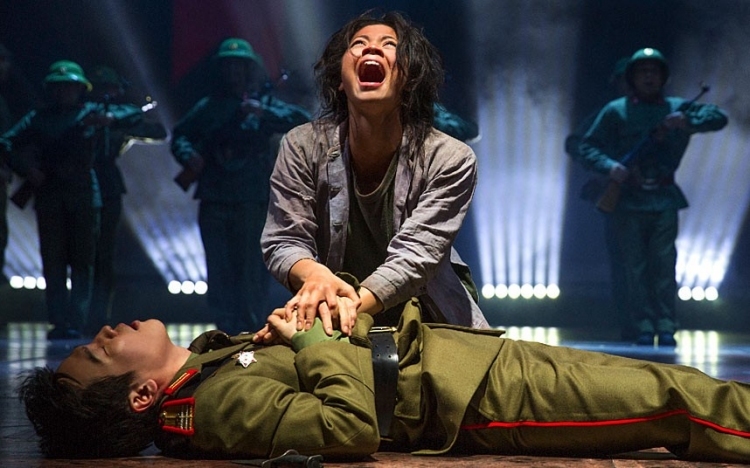 Powerful, moving, exciting and heart-wrenching- Miss Saigon should continue to thrill audiences for a very long time. The show continues at the Prince Edward Theatre.